South Philadelphia's Lincoln Square project is just a few months away from opening its doors at Broad Street and Washington Avenue. One of its biggest tenants needs 140 employees to join what figures to be one of the community's newest hubs. Sprouts Farmers Market announced Monday that it will be hiring for multiple positions this summer as the grocery store prepares for a grand opening on September 5. 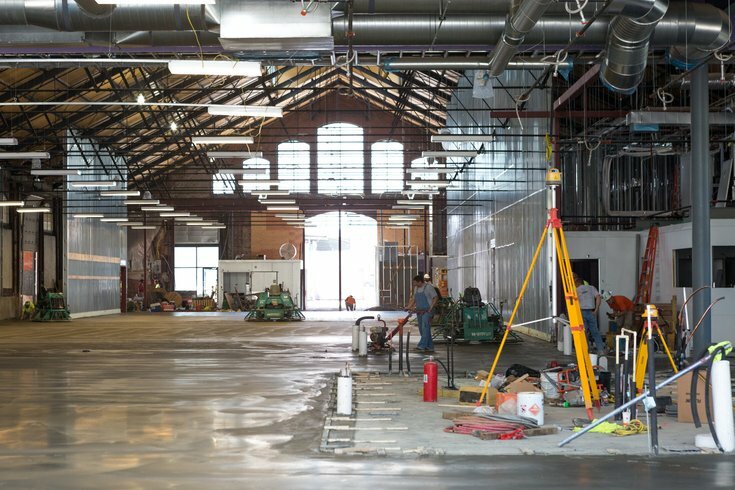 Housed inside the historic rail shed where the body of President Abraham Lincoln briefly pass through, the South Philly Sprouts will mark the chain's first location in Pennsylvania. More than 300 other locations are spread across 19 states. The company said it values employees who place an emphasis on healthy eating and organic, natural products. In addition to fresh produce, deli meats, seafood and freshly basked goods, Sprouts carries more than 7,500 vitamin and body care products made with sustainable ingredients. The company also sells more than 2,400 Sprouts brand products and offers regular discounts through coupons on its mobile app. As far as workplace environments go, a 32,000-square-foot shed with lofty presidential history and the smell of fresh food is a pretty strong enticement. To learn more about opportunities and team member benefits at Sprouts, or to apply, visit the company's job portal or call 1-866-925-2396 for non-managerial roles.